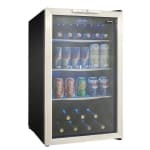 The Danby DBC039A1BDB undercounter refrigerator has LED controls that enable users to be in control of their fridge. A top screen displays both the current temperature and the programmed temperature, and users can use the keys to raise or lower the temperature by 1 degree increments in Celsius or Fahrenheit. When the refrigerator is too hot or too cold, it dings to let users know. 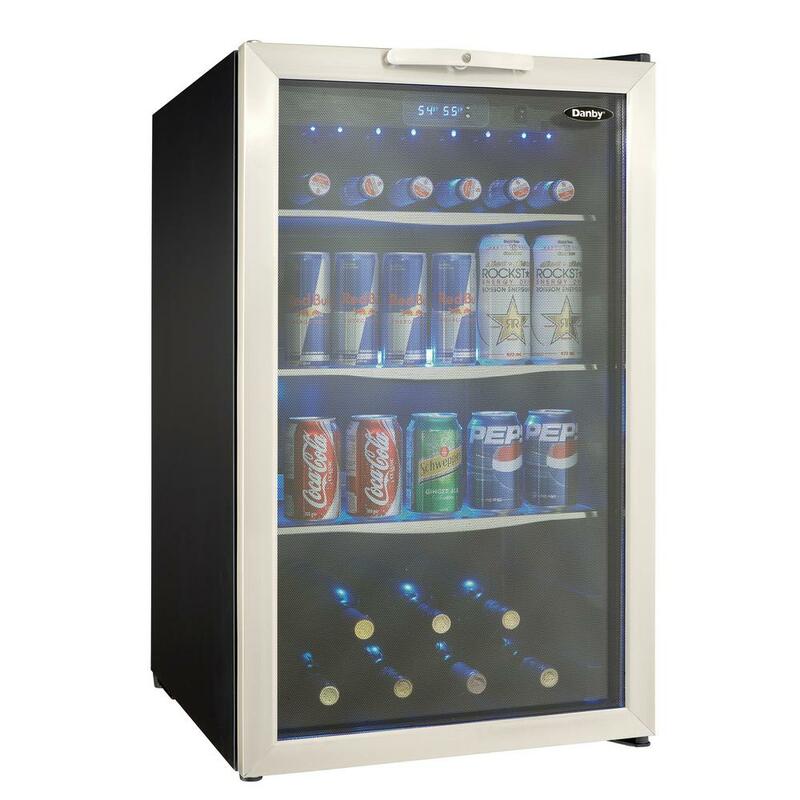 The DBC039A1BDB refrigerator has a clear door that keeps contents visible. It seals tightly with magnetic gaskets, though if the door is left open or not sealing properly, an alarm lets users know. Additionally, users can determine what fits in their fridge, by moving or removing the shelves.